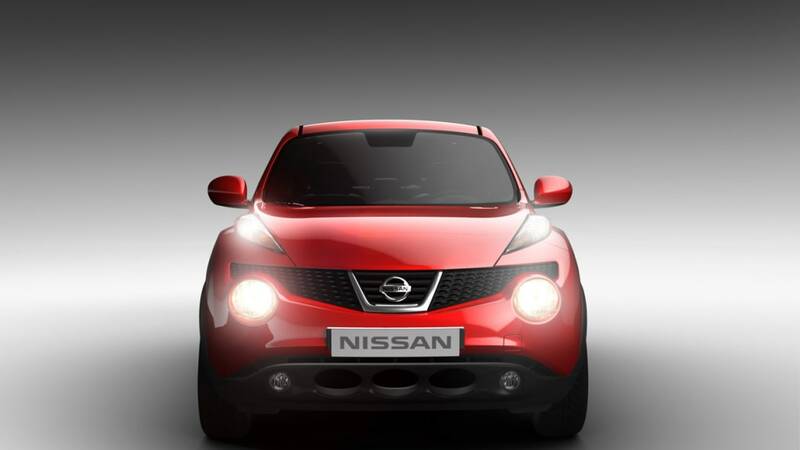 Nissan's new-for-2011 Juke is set to make its North American debut at tomorrow's New York Auto Show, and the small crossover's polarizing moon-buggy styling is sure to set tongues wagging, just as it did during its global premiere at the Geneva Motor Show. 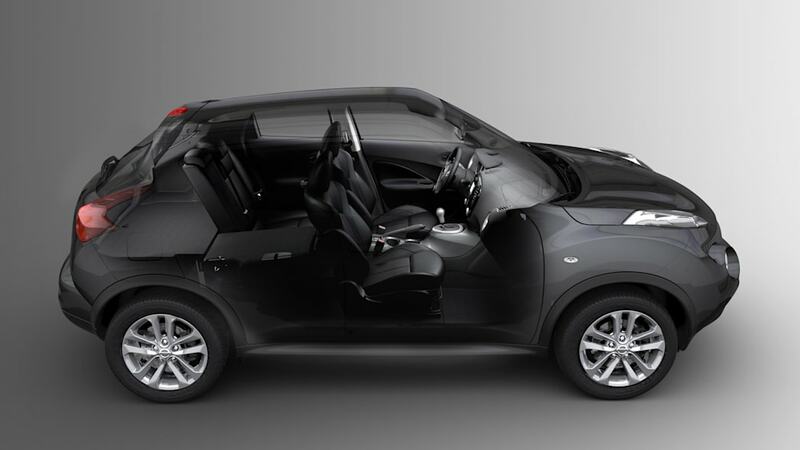 Having seen this vehicle in person already, we can tell you that its "Baby Predator" front end takes some getting used to, but it all comes together better than expected, and the interior seems surprisingly roomy and well-resolved. Much smaller in person than one might think, the curvy ute is significantly shorter than vehicles like the Honda CR-V and Toyota RAV4 – it's even shorter than the new Hyundai Tucson and Nissan's own Rogue, not to mention the likes of Mitsubishi's Outlander Sport (itself another NY debut). 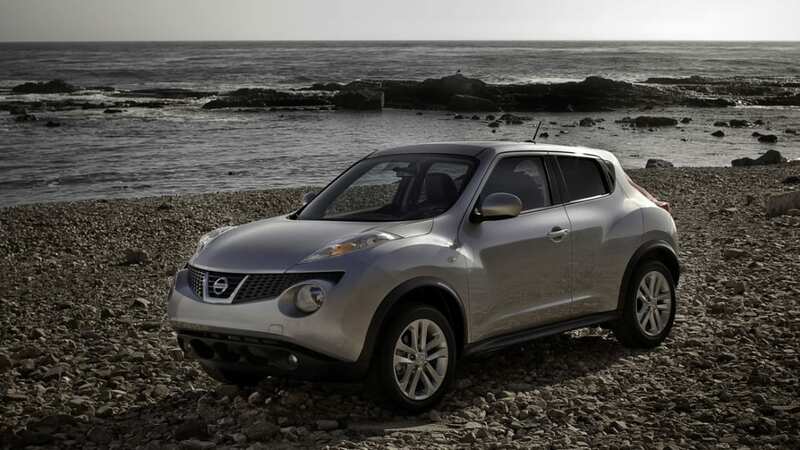 The closest competitor we can think of is Suzuki's SX4 crossover, which is, believe it or not, actually longer than the Juke. In the end, we fully expect it to be cross-shopped with more conventional hatchbacks (Mazda3), as well as 'box cars' like the Kia Soul. 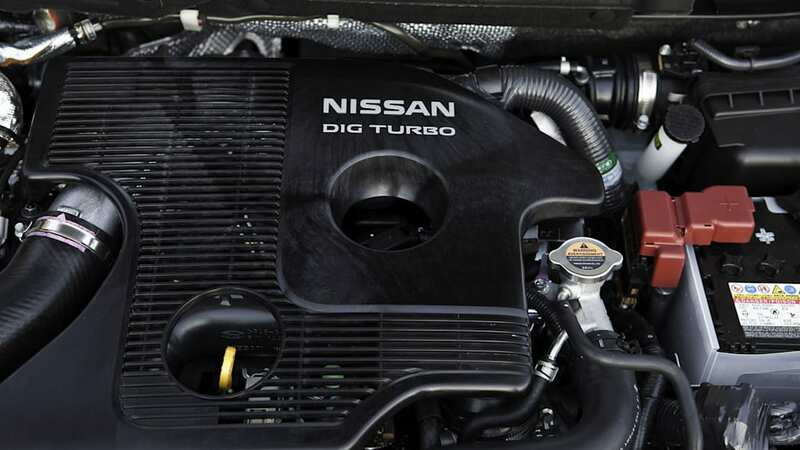 Featuring the first application of Nissan's 1.6-liter direct injected four-cylinder turbo in North America, it will be available with torque vectoring all-wheel drive, so it might just be the driver's car of the bunch, too. 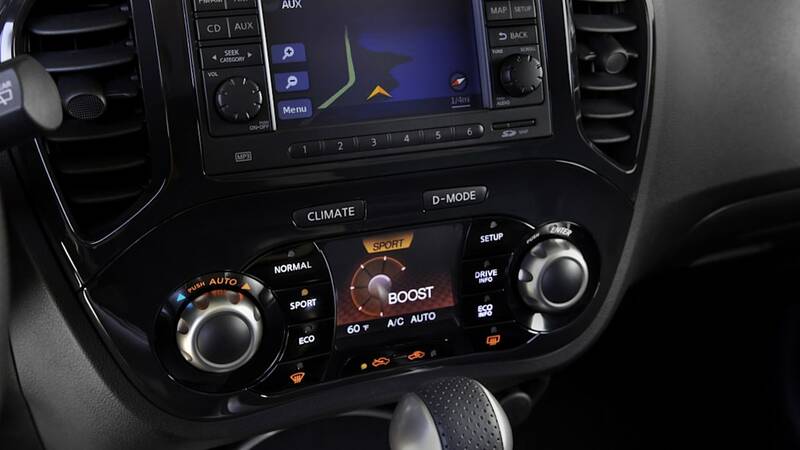 Featuring "180+ horsepower and 170+ lb-ft of torque," it will be available in both six-speed manual form and CVT with a sport setting. 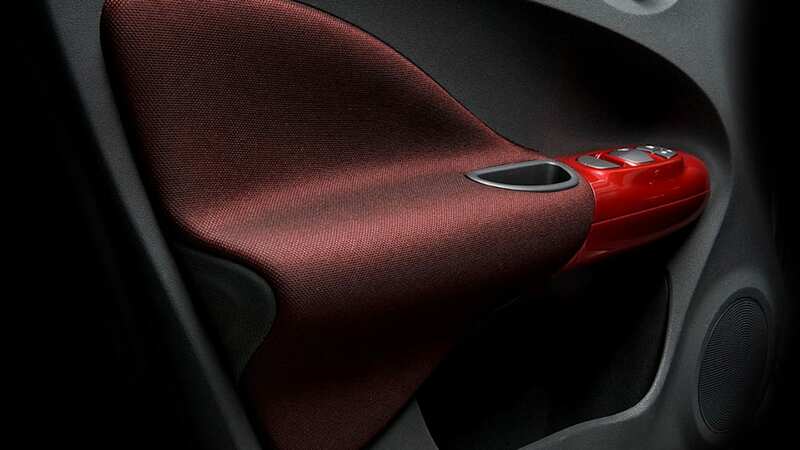 Unfortunately, the three-pedal setup will only be available in front-drive SV and SL trim, however. 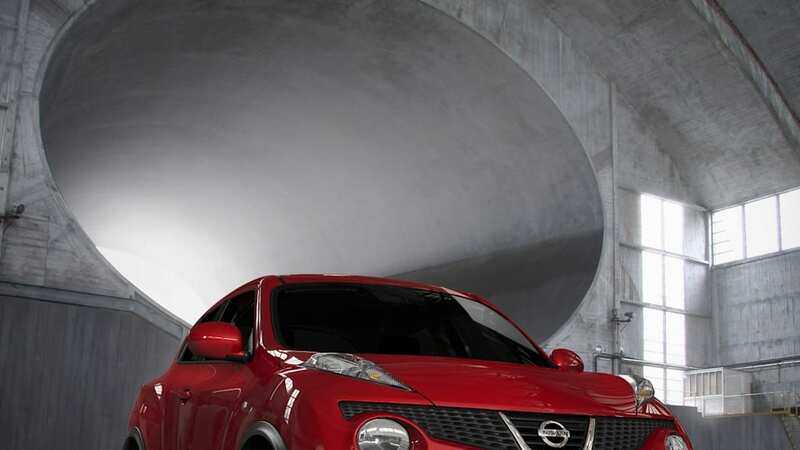 That torque-vectoring system? 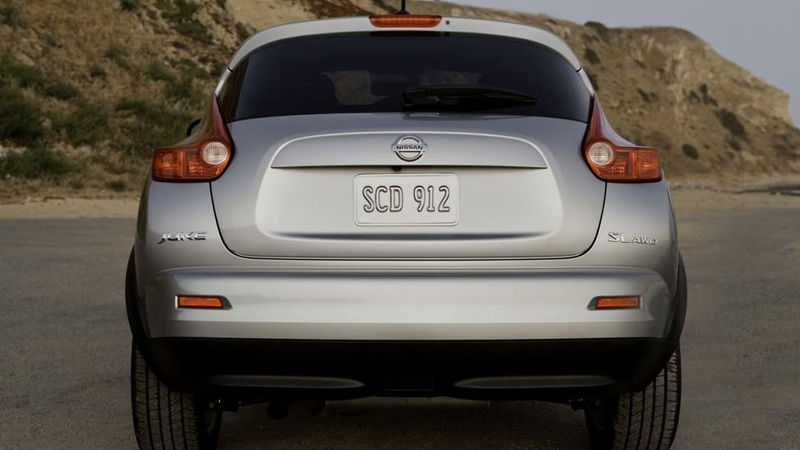 It defaults to a 50:50 front-to-rear split, but it can push power from side-to-side along the rear axle when situations warrant. 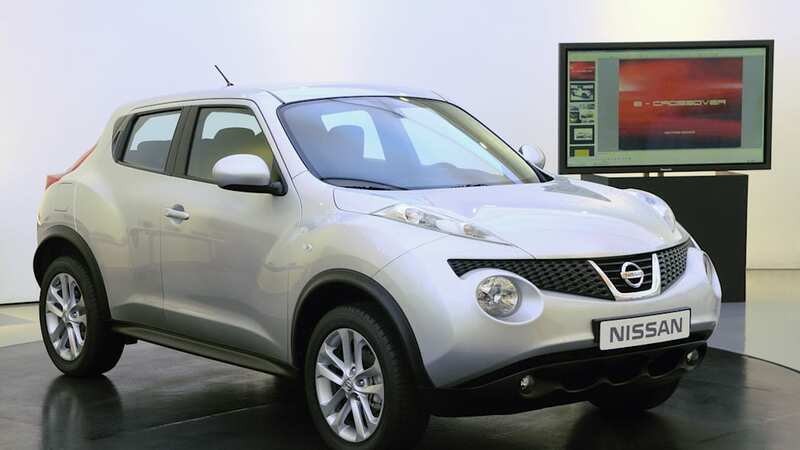 Update: Three videos of the Juke, its torque-vectoring all-wheel-drive system and Nissan's new direct-injected 1.6-liter four-cylinder engine (definitely the one to watch) have been added after the jump. 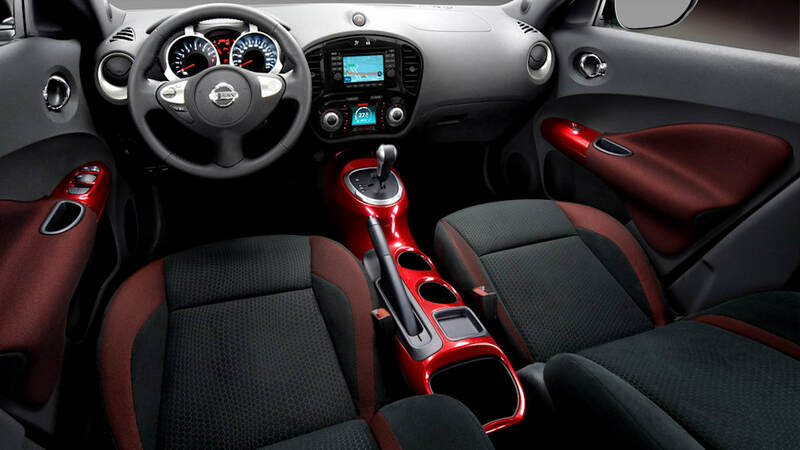 NEW YORK (March 30, 2010) – Nissan North America, Inc. (NNA) today unveiled the all-new Nissan JUKE sports cross at a special media preview near Rockefeller Center. 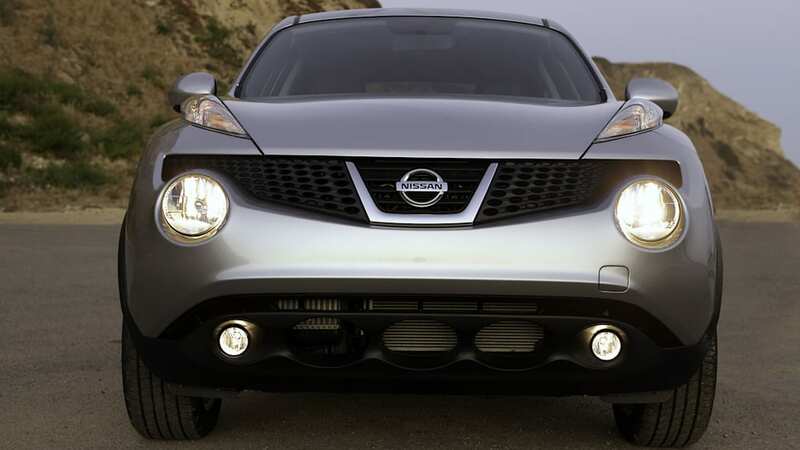 The dramatically styled JUKE, which joins Nissan's popular Murano and Rogue crossovers at Nissan dealers nationwide in the fall of 2010, will be on display at the New York International Auto Show at Jacob Javits Center April 2nd through 11th. 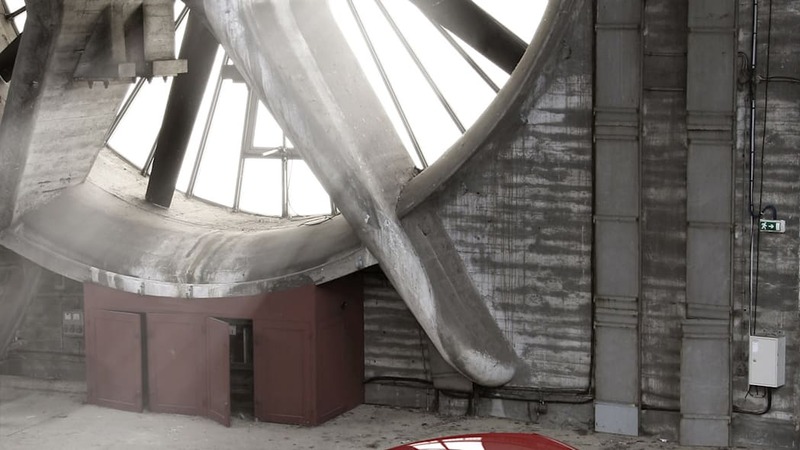 A special Web broadcast debut is scheduled for Wednesday, March 31 at 9:00 a.m. EDT. 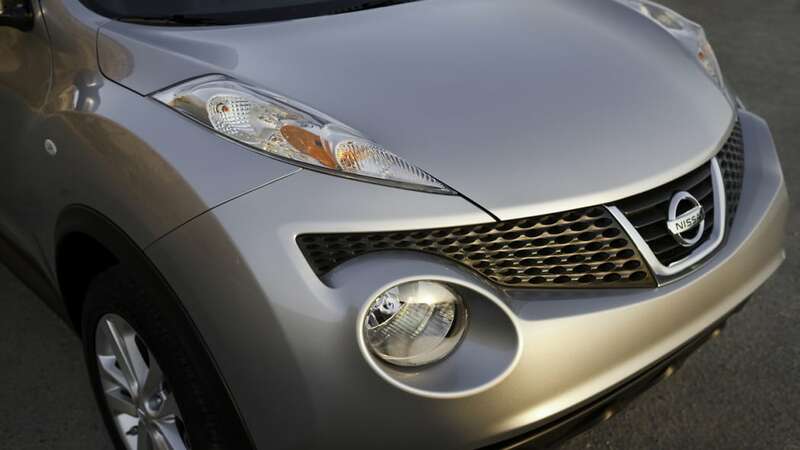 It can be viewed at www.nissanjukenyc.com. 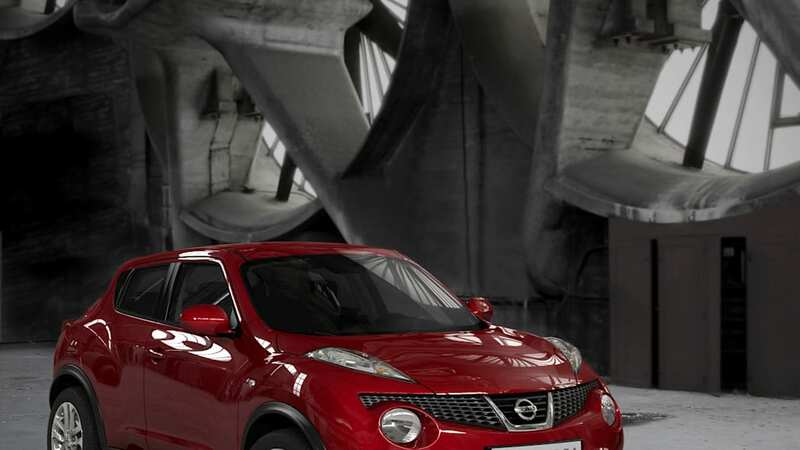 Along with its bold design inside and out, which draws on a number of active lifestyle influences including motorcycles and rally cars, JUKE brings unexpected levels of performance from a 1.6-liter Direct Injection Gasoline (DIG) turbo engine and an advanced torque vectoring all-wheel drive (AWD) system with performance technology usually reserved for premium vehicles. 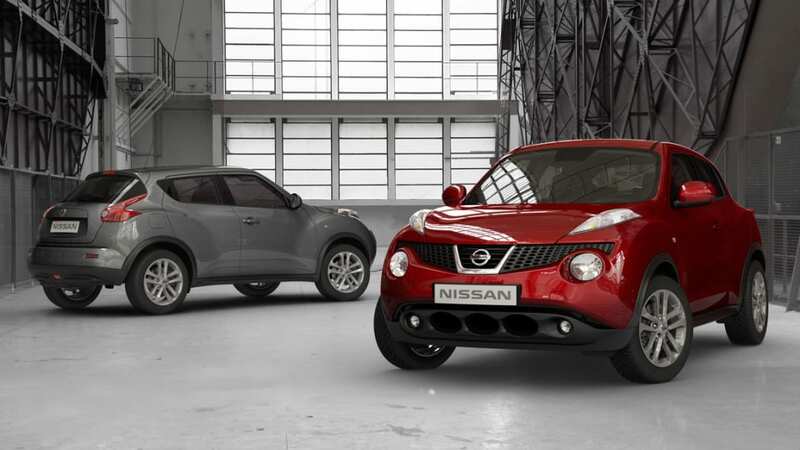 "JUKE is about to carve out a unique space in the rapidly growing compact crossover/hatchback segment with its combination of striking design, agile handling and driving pleasure and user friendly technology," said Brian Carolin, senior vice president, Sales and Marketing, NNA. "Add in the convenience, versatility and high seating positioning of a traditional compact SUV – and pricing that is expected to start at just under $20,000 – and you've got a vehicle unlike any other in its class." 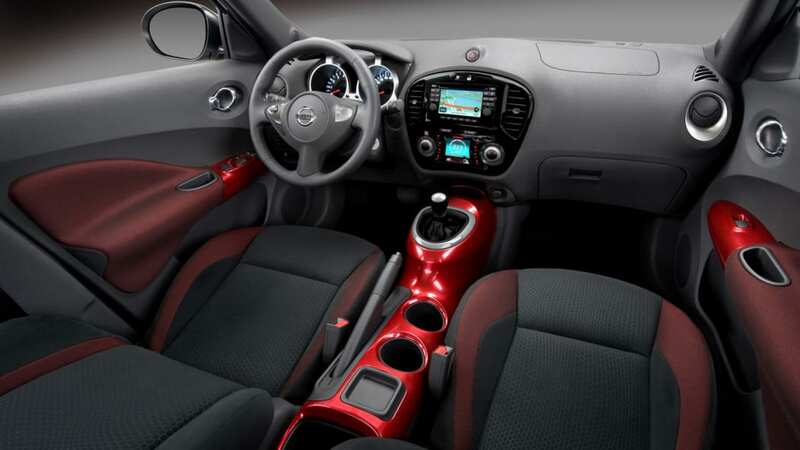 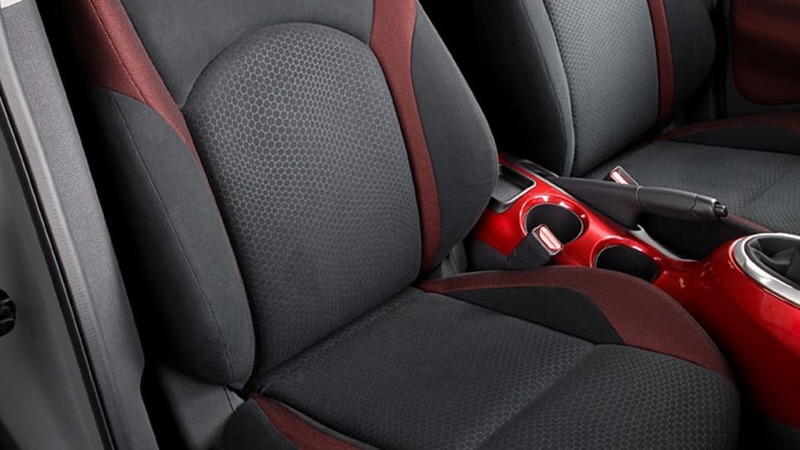 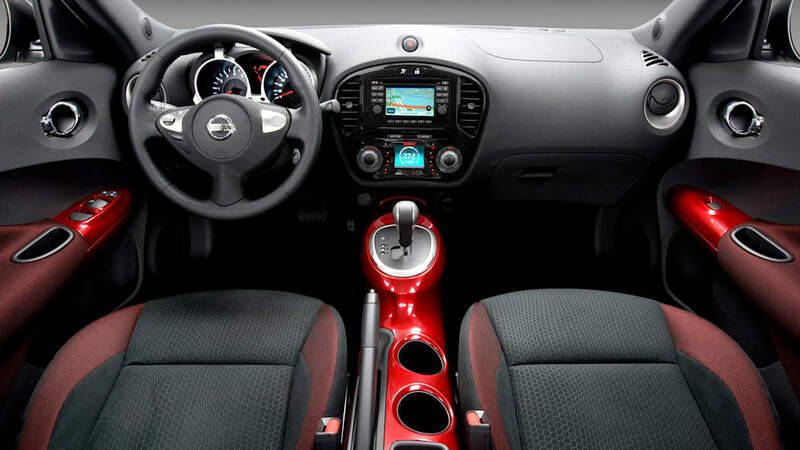 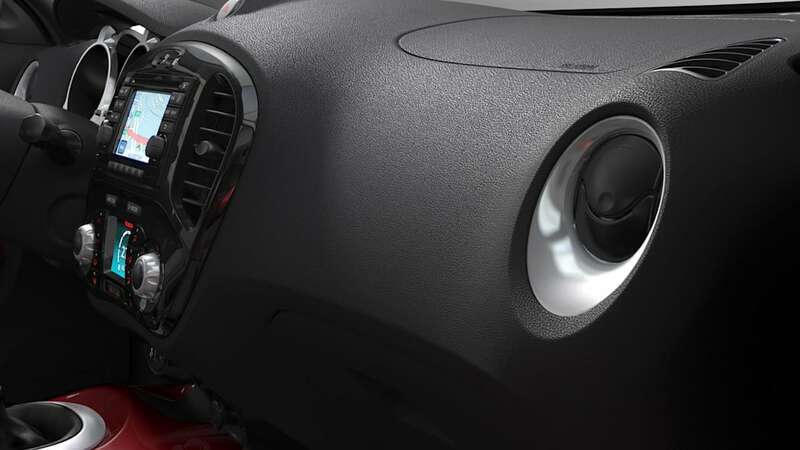 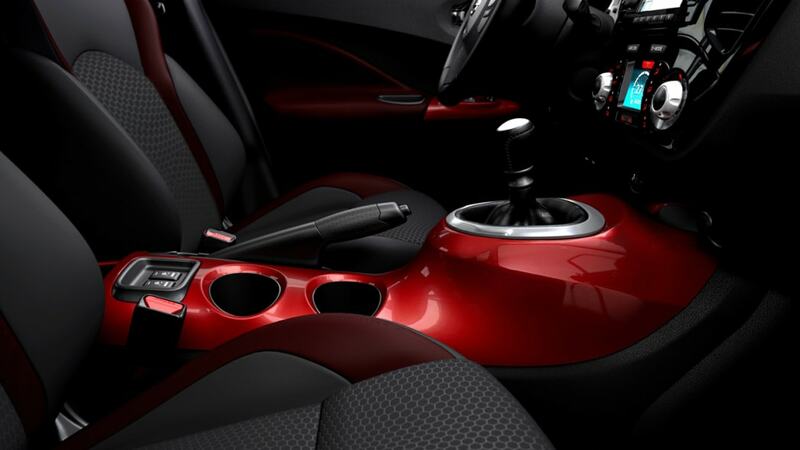 The JUKE interior offers bolstered front seats and a center console inspired by a motorcycle fuel tank and finished in a two-coat high-gloss paint. 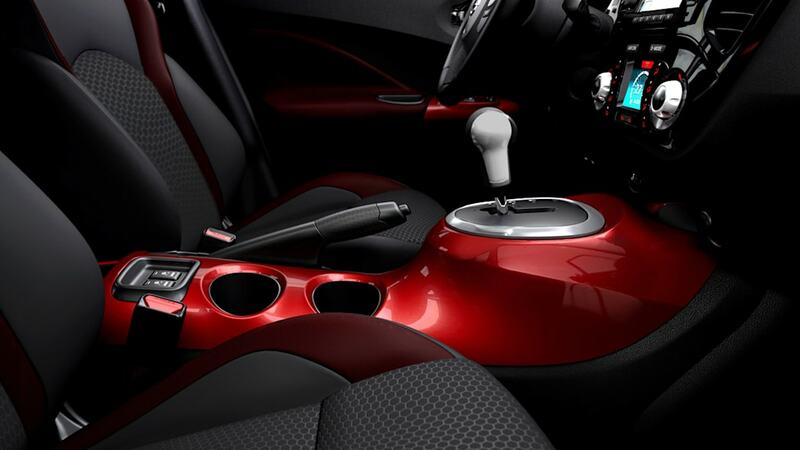 The gearshift sits on top of the console, with a short shifter lever for sporty driving. In the rear, a fold-down 60/40-split bench seat and flat load floor provide passenger and cargo hauling flexibility. 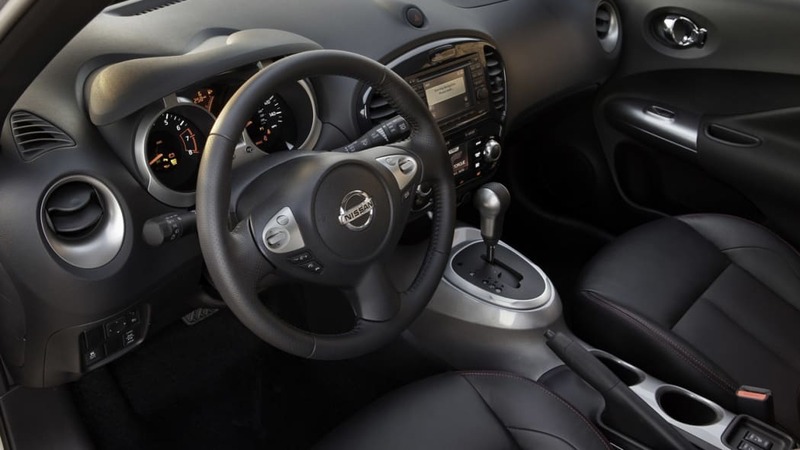 Available features range from leather-appointed seats and RearView Monitor to Nissan Intelligent Key with Push Button Ignition, navigation system with real-time traffic information and power sliding moonroof. 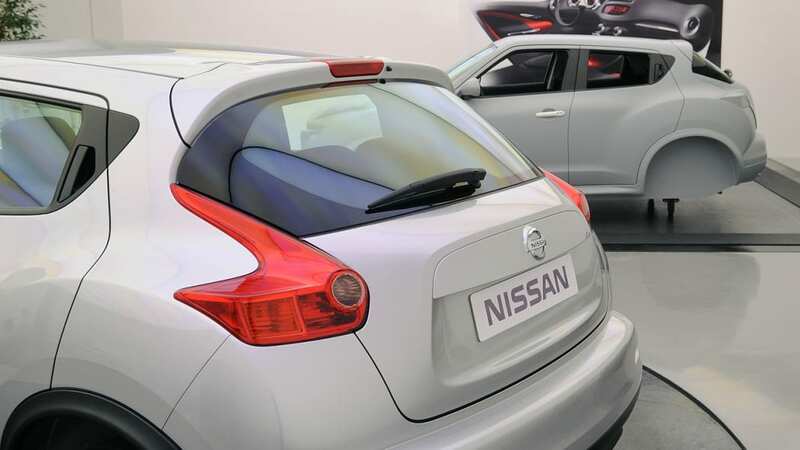 A long list of standard safety features is also available, including six air bags, Anti-Lock Braking System (ABS) and Vehicle Dynamic Control (VDC). 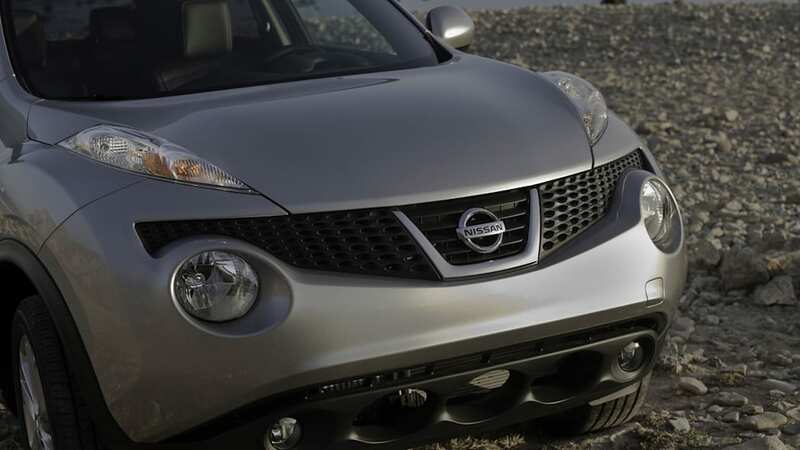 Powering JUKE is a standard 1.6-liter Direct Injection Gasoline (DIG) Turbo, 16-valve DOHC aluminum-alloy inline 4-cylinder engine rated at 180+ horsepower and 170+ lb-ft of torque. 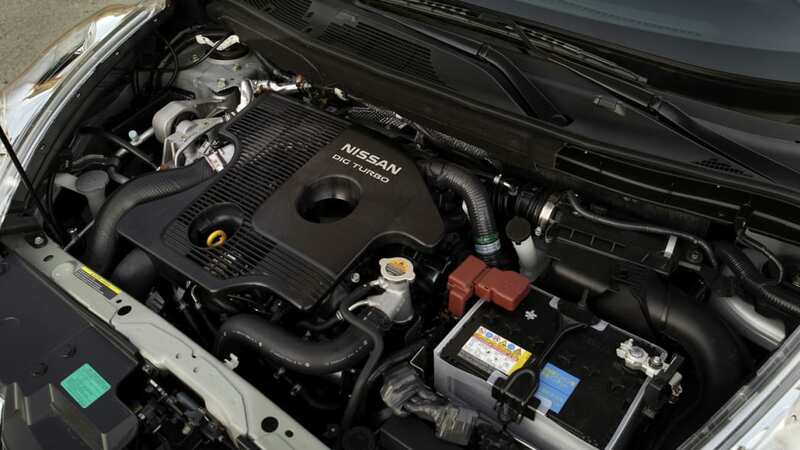 The engine, the first application in North America, combines energetic performance and good fuel economy. 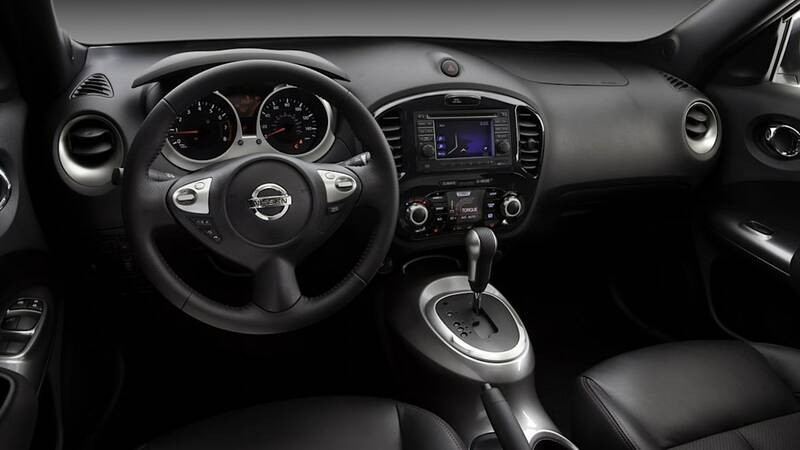 Two transmissions are offered – Nissan's advanced Xtronic CVT (Continuously Variable Transmission) with S-Mode and a 6-speed manual transmission (SV FWD and SL FWD models only). 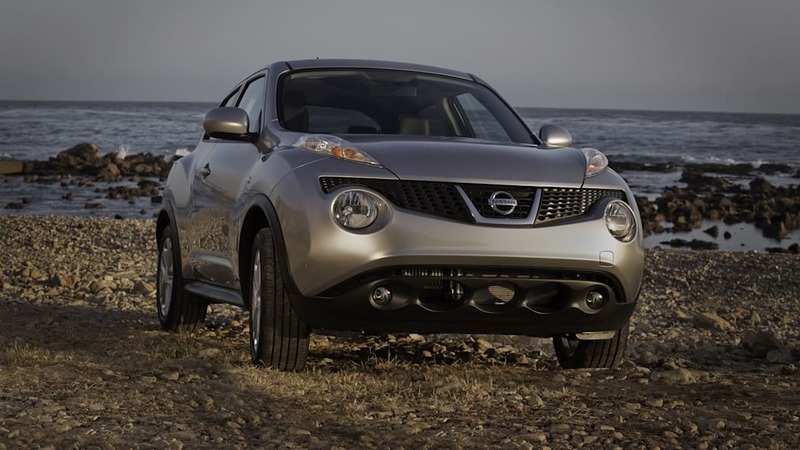 JUKE's torque vectoring AWD system splits torque up to 50:50 between the front and rear wheels and can also can split torque from side-to-side across the rear axle. 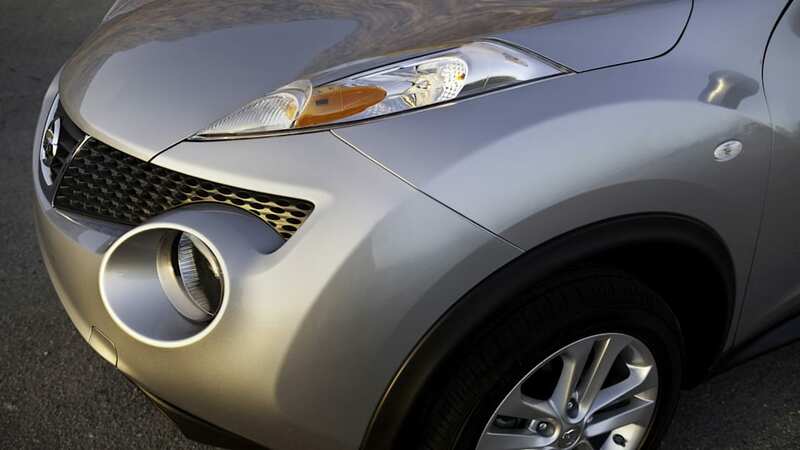 When cornering, the system helps reduce understeer and enhance the vehicle's cornering feel. 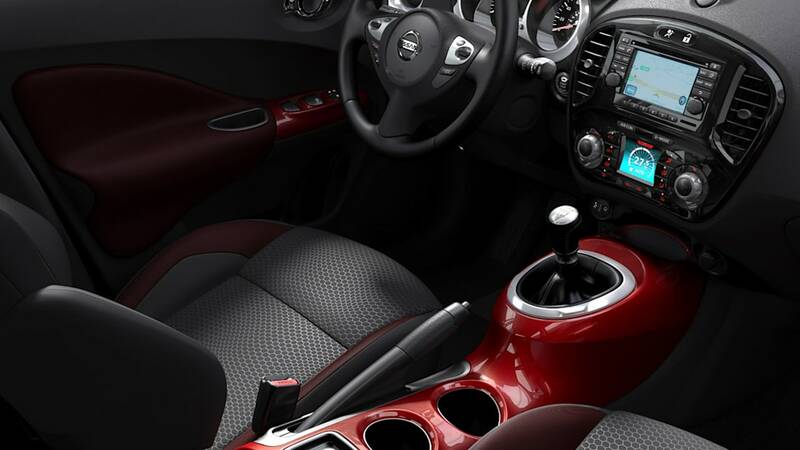 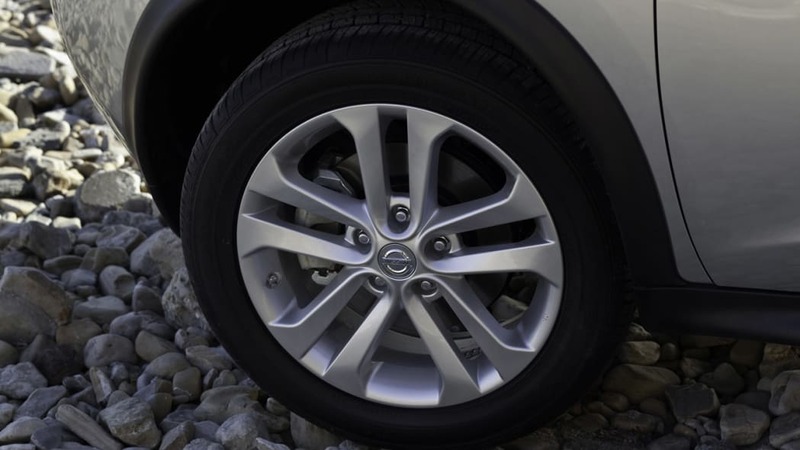 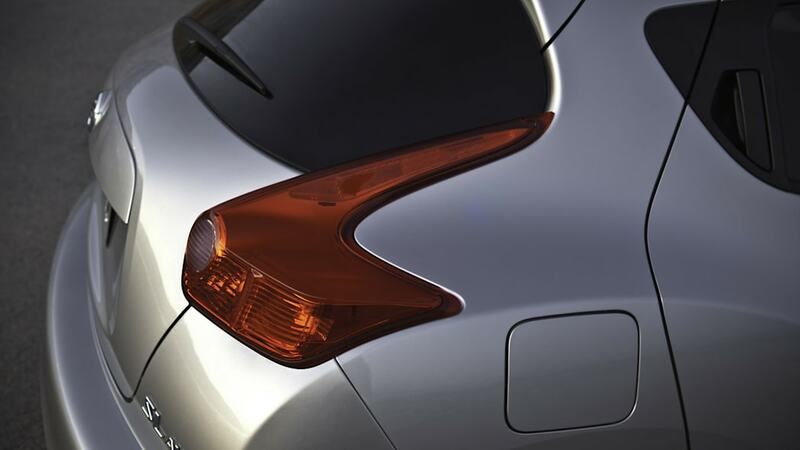 Another new-to-Nissan technology debuting on JUKE is the innovative Integrated Control (I-CON) system. 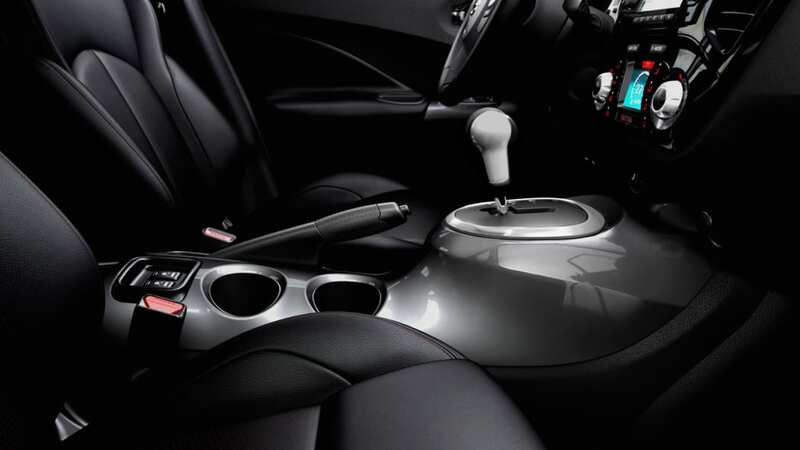 The I-CON system functions in one setting as a controller for the automatic climate control system, and in the other offers a drive mode selector with three different throttle/transmission (CVT)/steering response settings – Normal for everyday driving, Sport for a more intense performance feel and Eco for maximum efficiency. 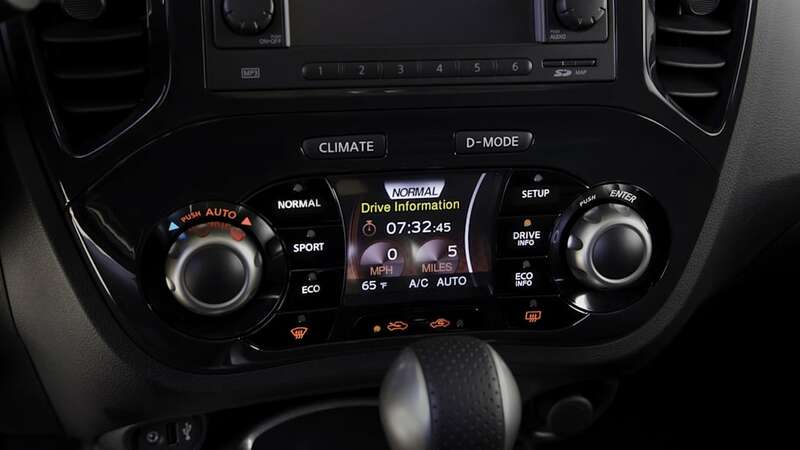 I-CON also serves as a central command center and display module, adopting different display colors and functions depending on how it is being used. 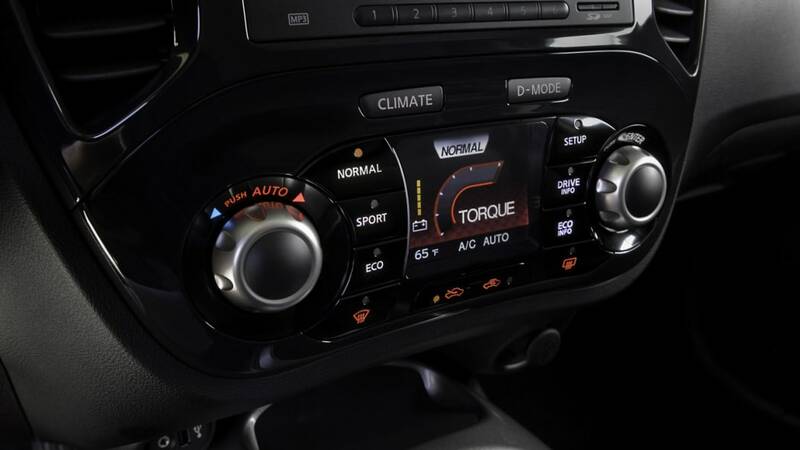 In Climate mode, the display shows the interior temperature settings while the "buttons" display air flow preferences. 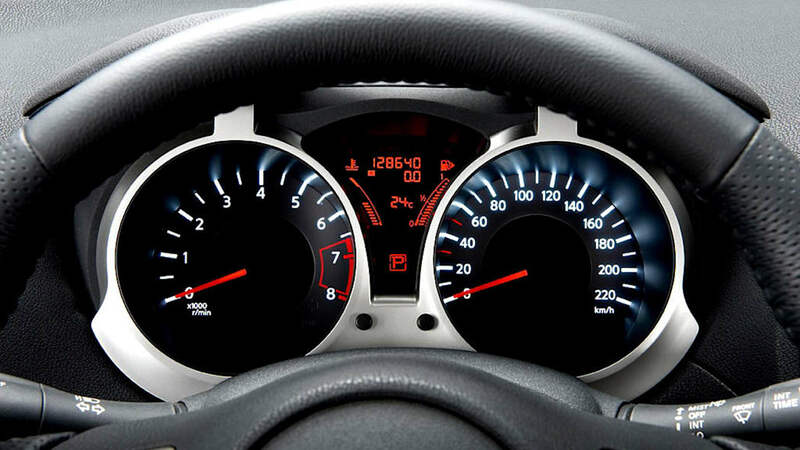 In the "D-Mode," the buttons change to the three driving modes and the display shows engine and drive related dials and information. 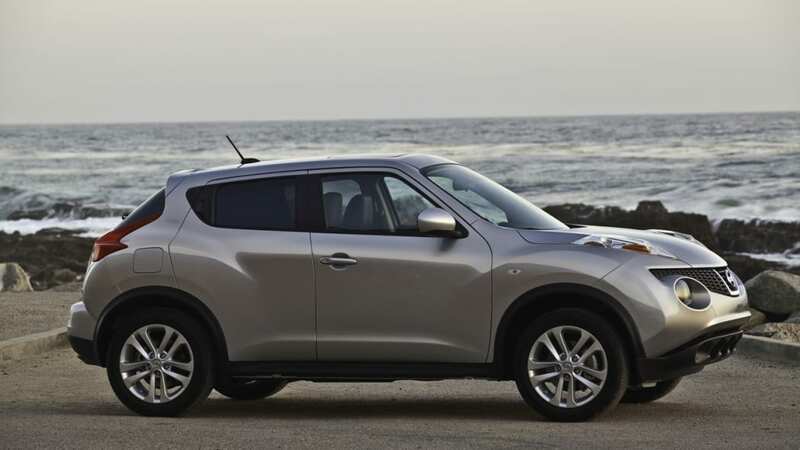 "JUKE provides an exceptional level of available technology for its segment and a special character all its own," said Carolin. 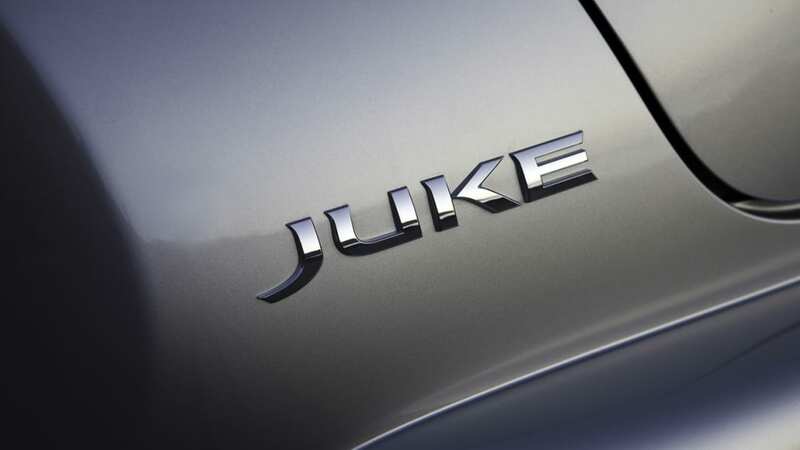 "We're expecting an enthusiastic response from people attending the New York Auto Show and look forward to JUKE going on sale this fall." 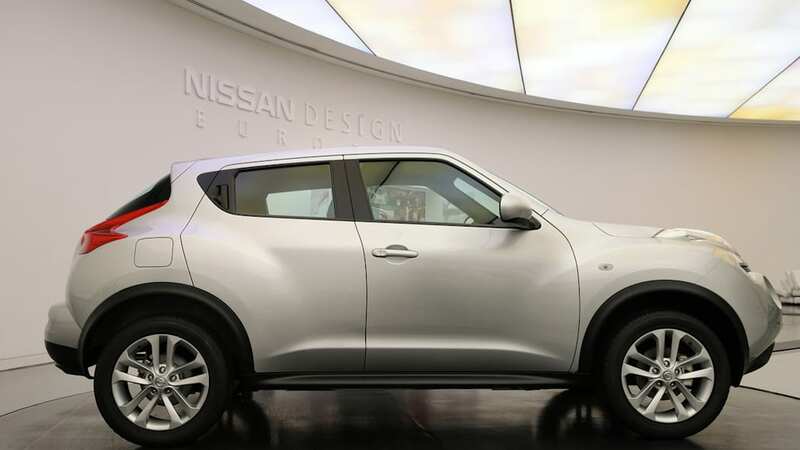 Along with the Web cast video, JUKE images, video downloads and additional information will be available beginning March 31 at nissanjukenyc.com. 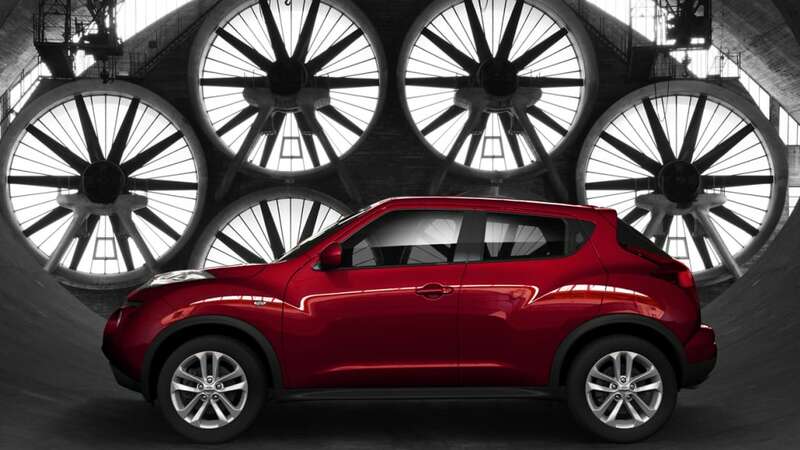 Distinctive, independent, adaptive and confident. 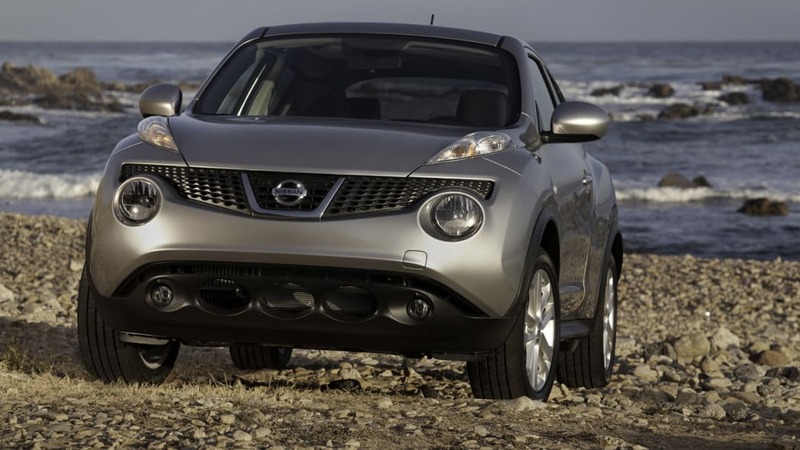 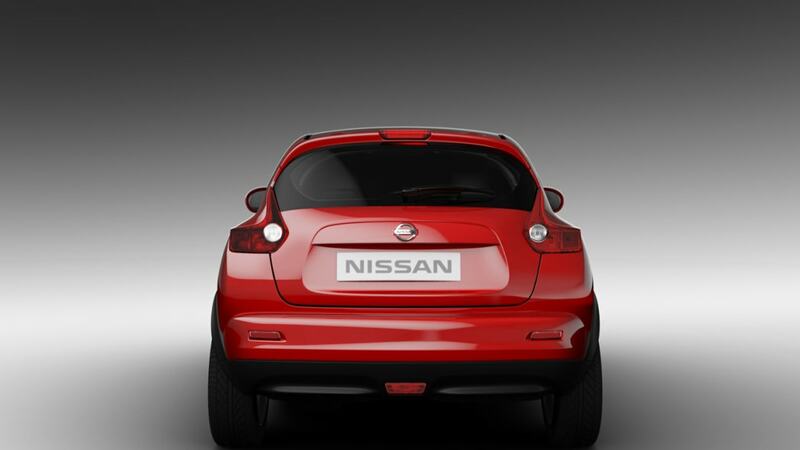 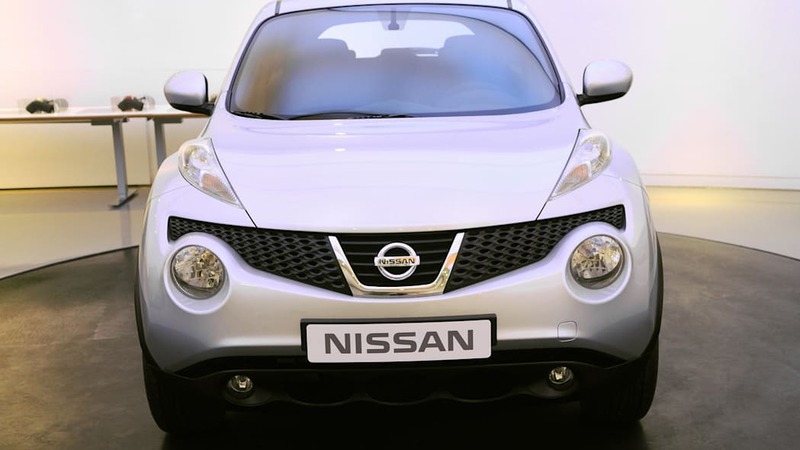 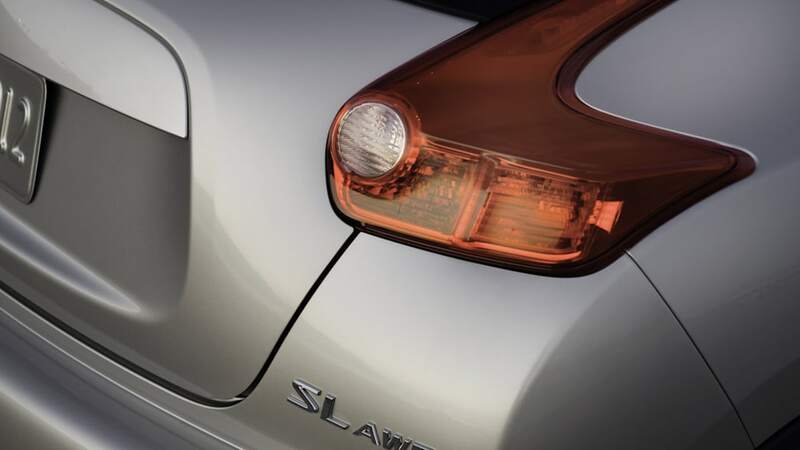 Four words that describe the 2011 Nissan JUKE sport cross – and that also fit JUKE's prospective buyers. 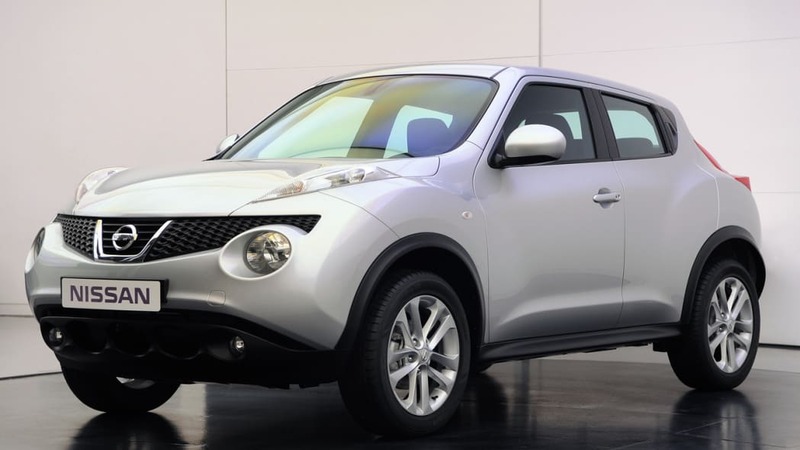 Unlike traditional entries in the fast-growing compact hatchback/crossover market today, the all-new JUKE offers bold styling, unexpected levels of performance and an advanced torque vectoring AWD system with performance technology usually reserved for premium vehicles. 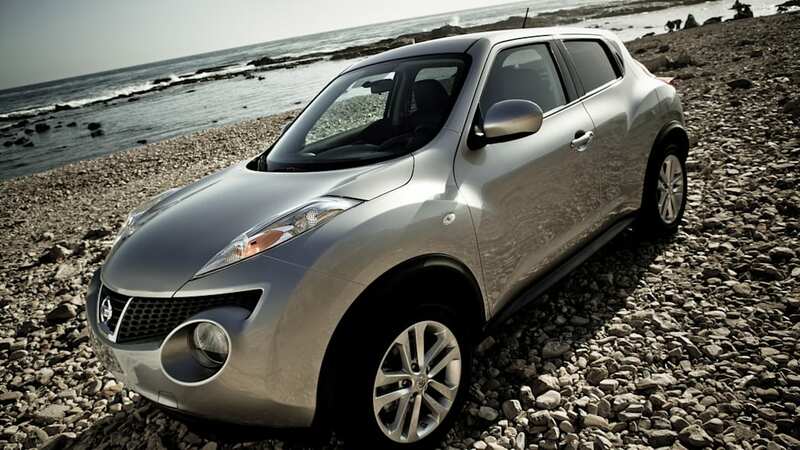 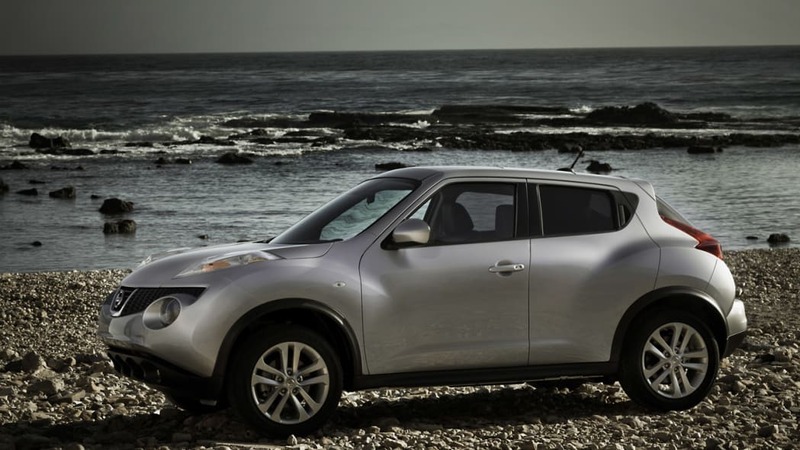 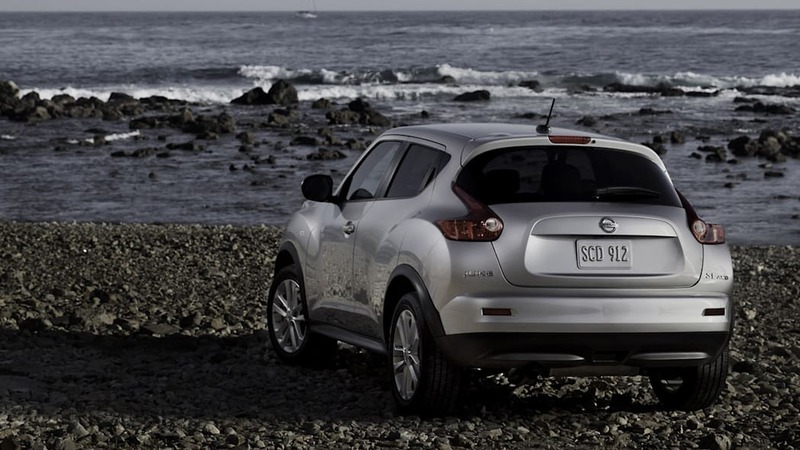 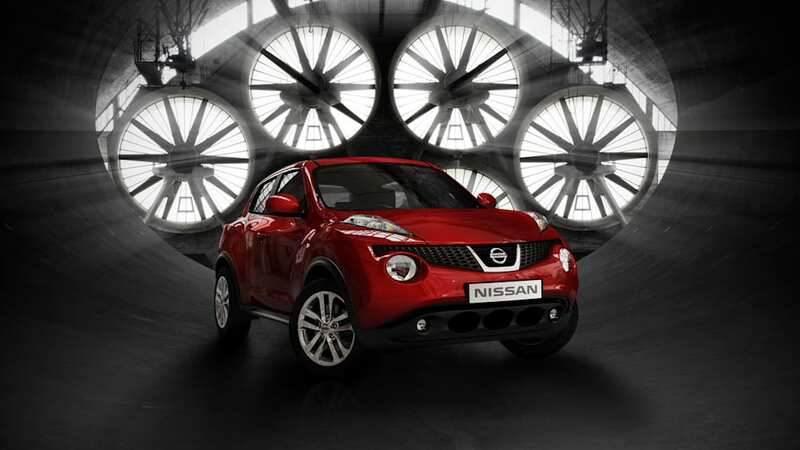 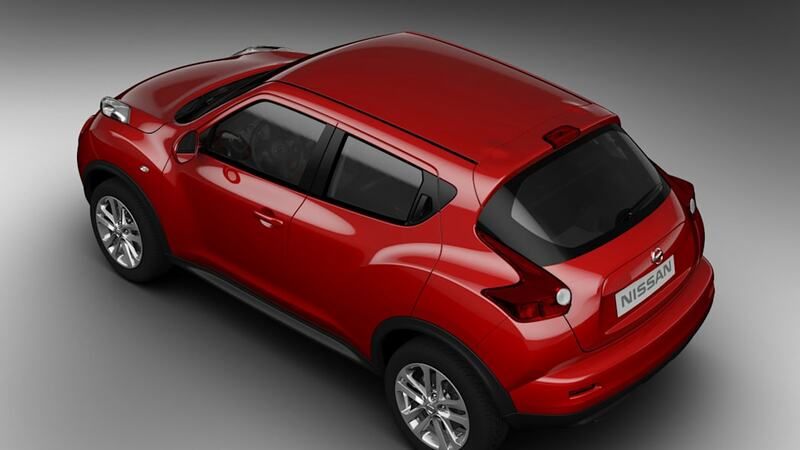 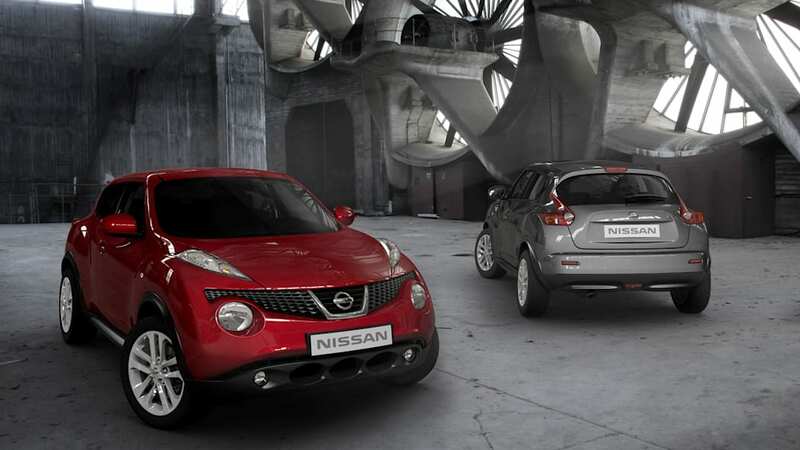 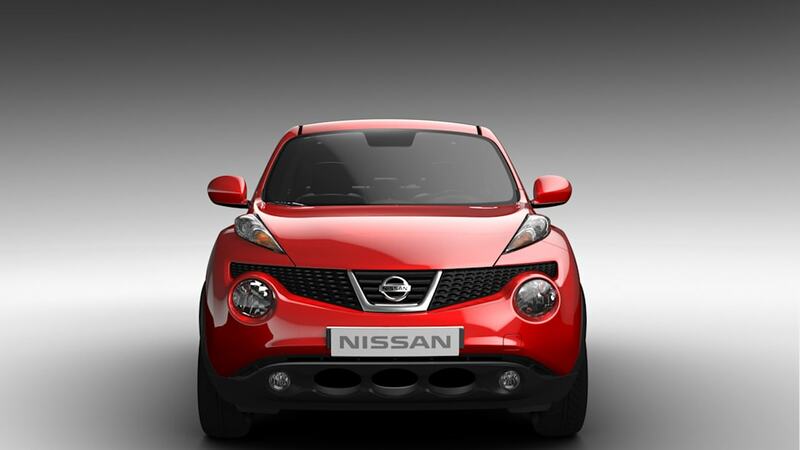 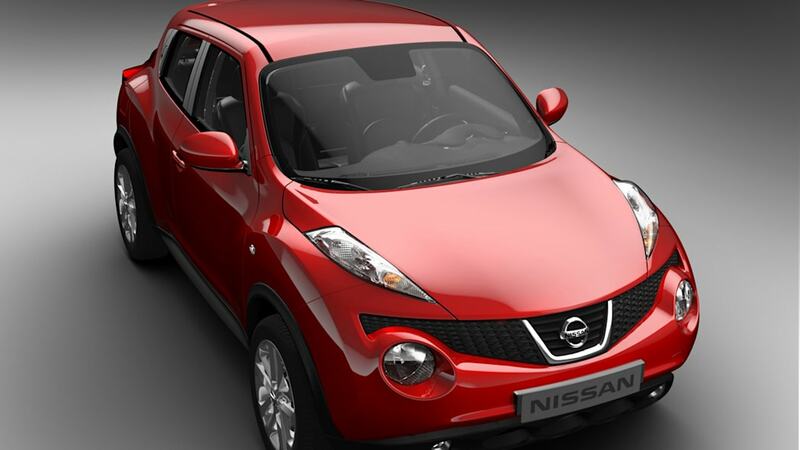 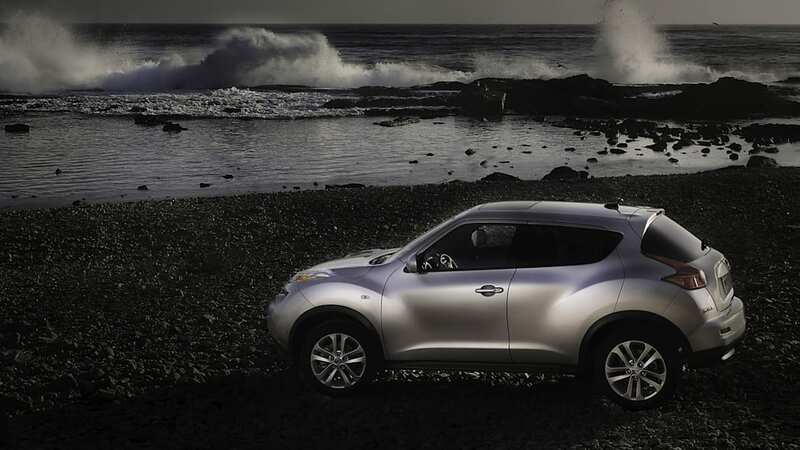 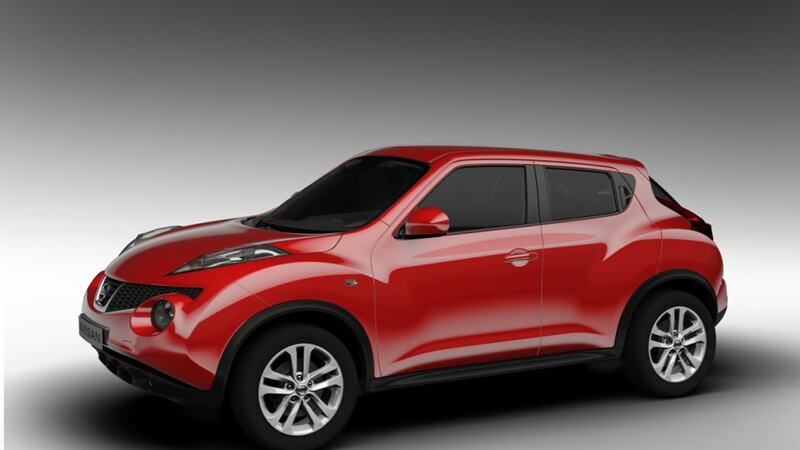 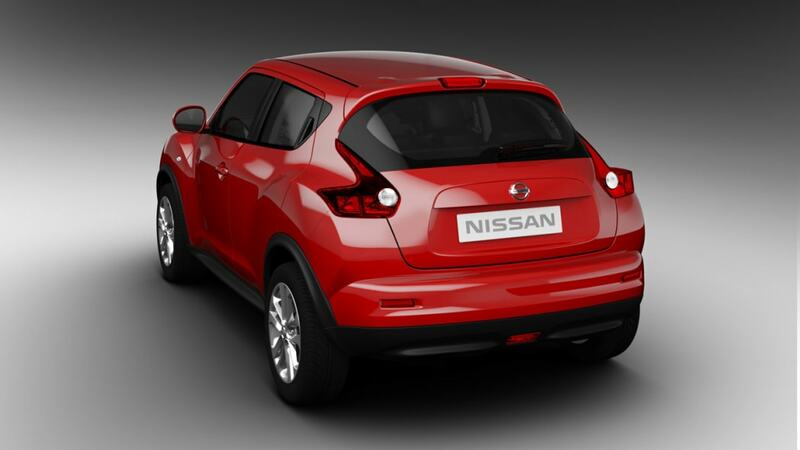 JUKE's aggressive styling, derived from the dramatic Nissan Qazana Concept, brings a breath of fresh air to the segment. 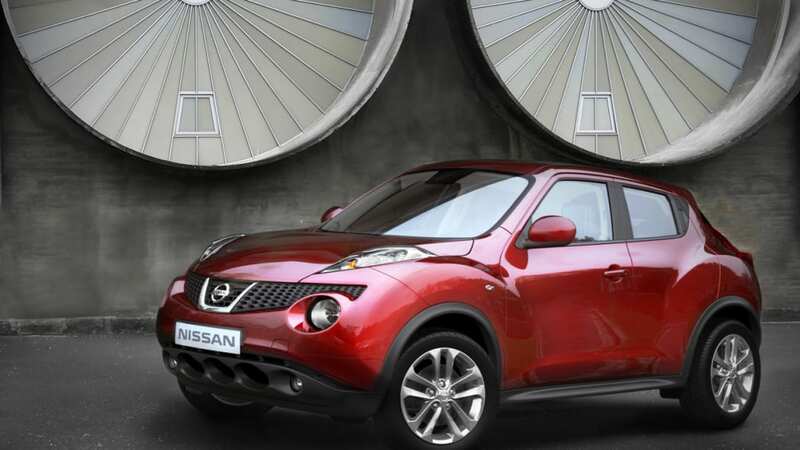 Built on Nissan's proven global B-platform, JUKE looks exactly like it drives – fun, bold and exciting. 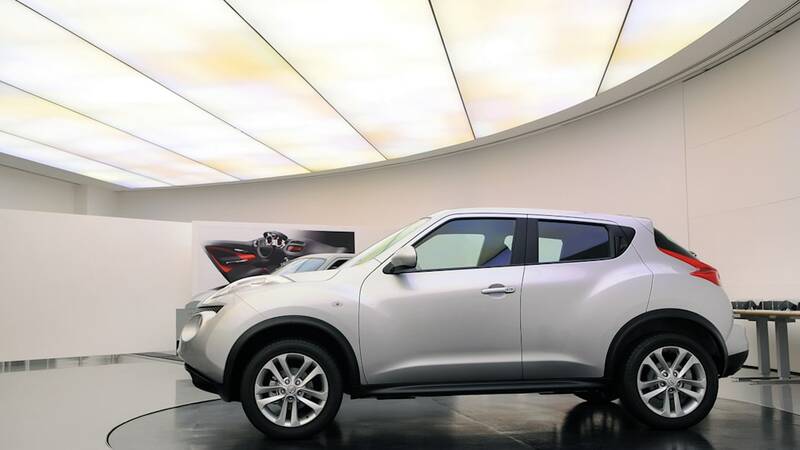 It features a powerful front end treatment with the turn signals integrated into the front fenders, a high beltline and coupe-like falling roofline. 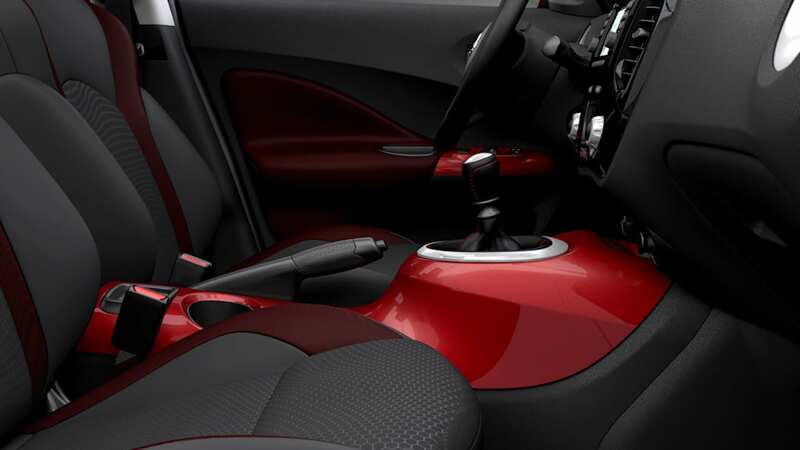 Other exterior details include body-colored outside mirrors and front door handles, "hidden" rear door handles, integrated roof spoiler and standard 17-inch wheels and tires. 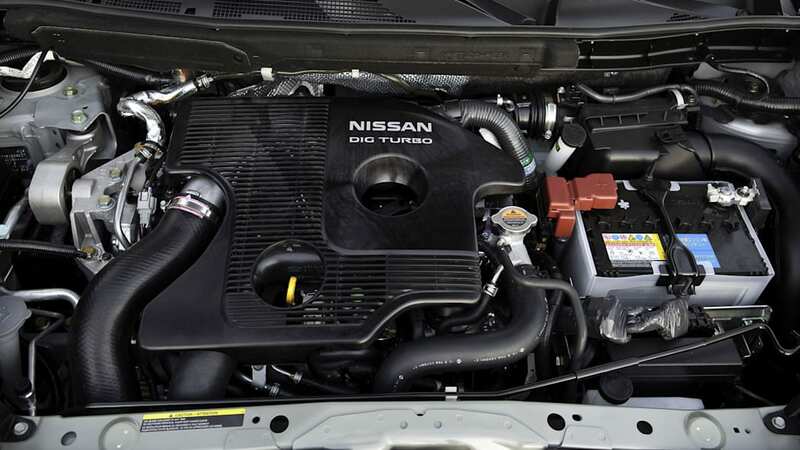 Powering JUKE is a standard 1.6-liter Direct Injection Gasoline (DIG™) Turbo, 16-valve DOHC aluminum-alloy inline 4-cylinder engine rated at 180+ horsepower and 170+ lb-ft of torque. 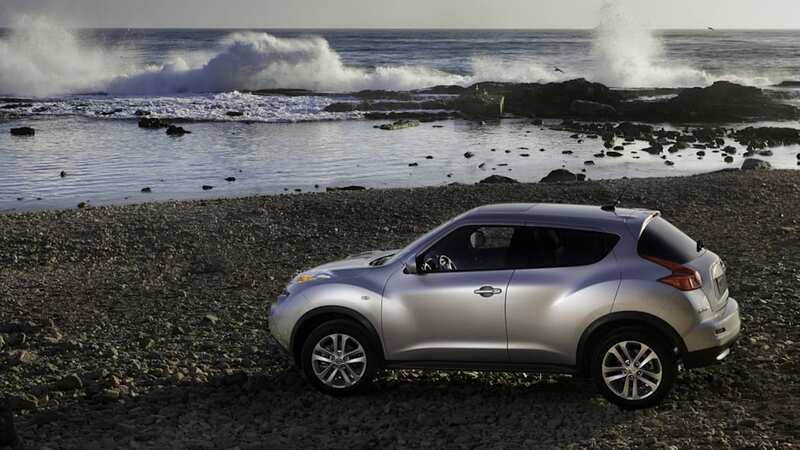 The engine, the first application in North America, combines energetic performance and good fuel economy. 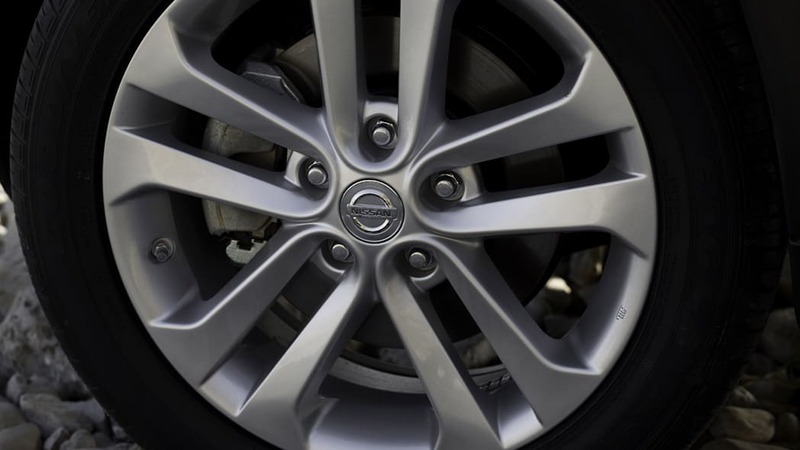 Two transmissions are offered – Nissan's advanced Xtronic CVT™ (Continuously Variable Transmission) with S-Mode and a 6-speed manual transmission (1.6 SV FWD and 1.6 SL FWD models only).